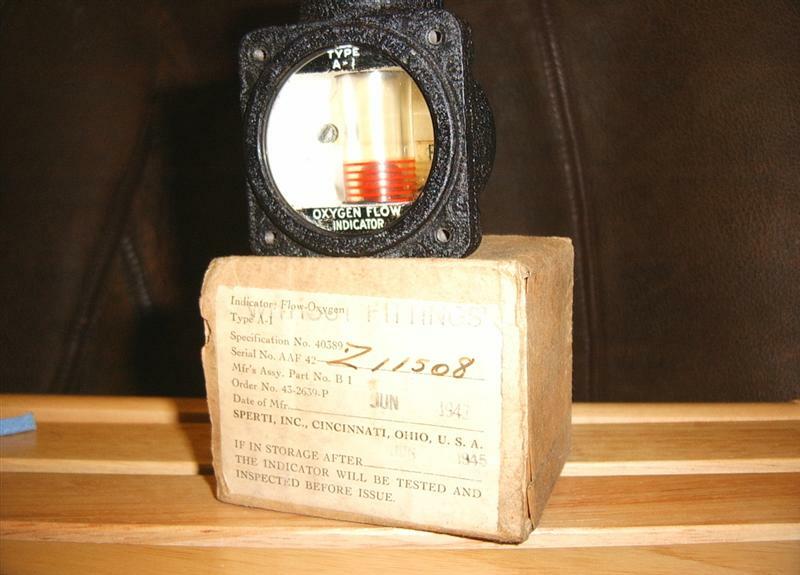 An early WW11 Boeing B-17 Oxygen Flow Indicator Gauge Instrument. To indicate correct oxygen flow there is a floating red ball that moves up and down. SPERTI, INC., CINCINNATI, OHIO, U.S.A.